Creative expression is one of our fundamental human attributes. How do people learn about art, and what do they learn? What does an effective art experience look like in a museum setting? 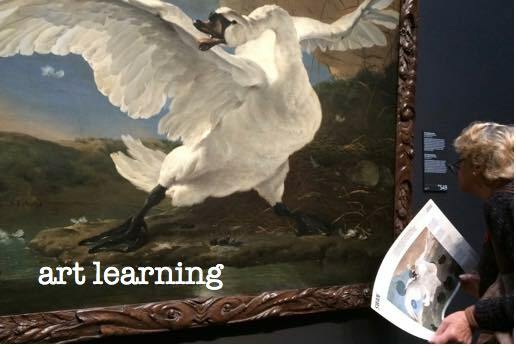 How can museums better support the development of aesthetic skills, contextual understanding, and personal connection? What do families learn about art as they visit an art museum, or participate in arts activities in informal settings? Russell, J., Knutson, K., & Crowley, K. (2013). Informal learning organizations as part of an educational ecology: Lessons from collaboration across the formal/informal divide. Journal of Educational Change, 14(3): 259-281. Knutson, K. (2013). Exploring art and history at the Warhol Museum using a Timeweb. In K. Drotner, and K. Schroeder (Eds.) The connected museum: Social media and museum communication. London: Routledge. Steiner, M., Galvin, & T. Green (2012). Manchester Craftsmen’s Guild: Art, Mentorship, and Environment Shape a Culture of Learning and Engagement. In VeLure Roholt, R., Baizerman, M., & Hildreth, R.W. (Eds.) Civic Youth Work: Cocreating Democratic Youth Spaces. (pp 81-114). Chicago: Lyceum Books. Luke, J. & Knutson, K. (2010). Beyond Science: Implications of the LSIE report for Art Museum Education. Curator 53.2, 229-237. Knutson, K. (2002). Creating a space for Learning: Curators, educators and the implied audience. In Leinhardt, G., Crowley, K., & Knutson, K. (Eds.). Learning Conversations in Museums. 5-44. Mahwah, NJ: Lawrence Erlbaum. Funding provided by: Learning Research & Development Center, The Andy Warhol Museum, Anonymous Museum, The Manchester Craftsmen's Guild, and the Institute for Museum and Library Services.